I've always been a fan of the curly yellow Sapporo ramen because i love love miso ramen. Well, that's till i had the most famous variant of ramen, right from ramen city that is Hakata, Fukuoka. This is the birthplace of famous ramen chains like Ichiran 一蘭 and Ippudo 博多一風堂 and any decent ramen fan ought to visit Hakata at least once. 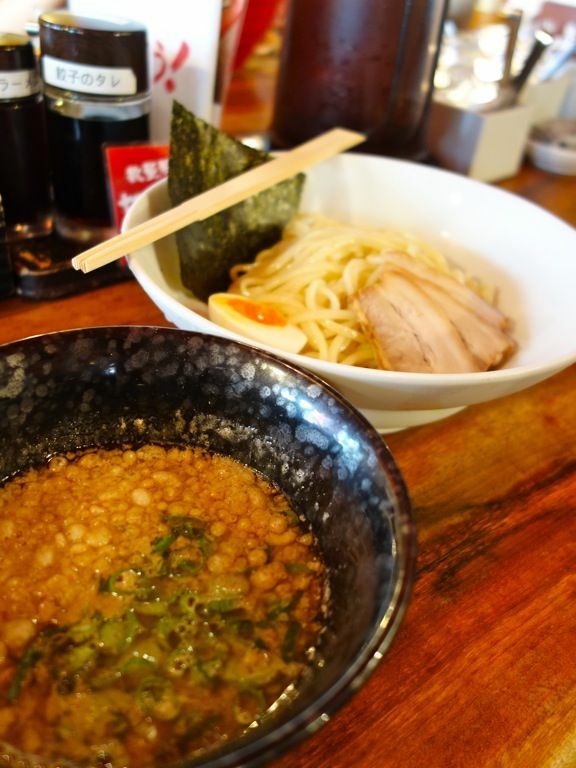 Hakata ramen is characterised by thin, non-curly and firm noodles, paired with a rich, milky, pork-bone tonkotsu broth. Toppings vary, with sides such as crushed garlic, beni shoga (pickled ginger), sesame seeds, and spicy pickled mustard greens (karashi takana) made available to diners (though i've only seen that at Ippudo). Hakata Ippudo 博多一風堂is one of the most popular ramen shop franchises to come out of Fukuoka, and i was completely sold after visiting their best overseas outlet in NYC. NEVER visit Ippudo Tao btw. Thankfully, the Hakata queue wasn't as crazy as the NYC one. There are several ramen options available at Ippudo. We decided to try something different that we've not seen in the other overseas outlets and had a shot at the Tsukemen (dipping noodles). Tsukemen uses a different type of noodles- the yellow curly sort- as they are better at picking up the sauce. Noodles were served cold and al dente. 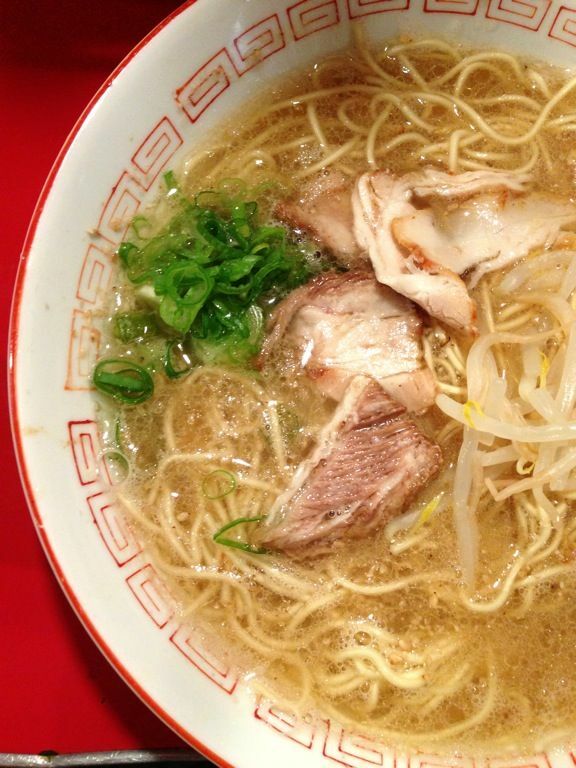 Pick up the noodles and dunk them into the pork and bonito broth before slurping them up. DO NOT attempt to drink the soup at this point as the katsuo-bushi pork concoction is very rich and salty and the umami is off the charts. You'll also get nuggets of pork in the soup. If you do not wish to spare any golden drops, add hot water to the remaining broth and drink it up. Yes you are encouraged to do so. 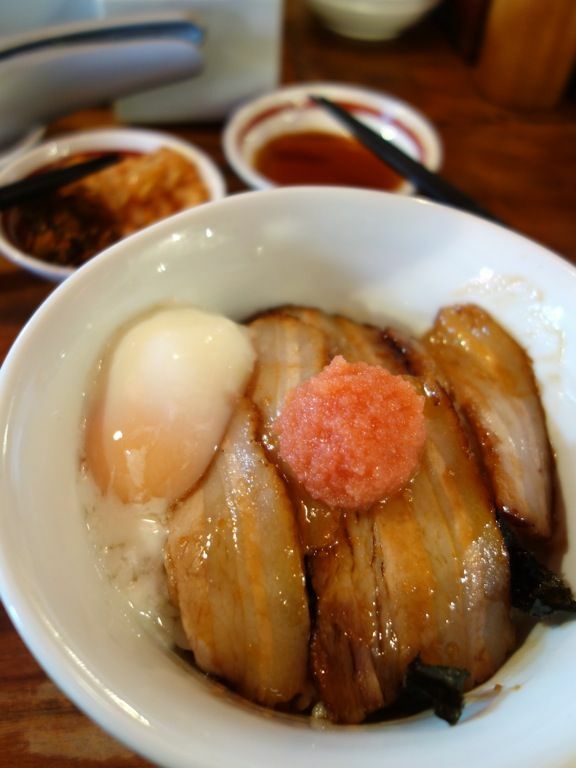 The hidden gem at Ippudo is actually their Char siew rice with tamago egg and mentaiko (350/420Y). Mentaiko is a hot favorite local product that cannot be missed in Fukuoka btw, so do get your hands on some. Have it in its pure form, paired with meat, or have it in tamago (my favorite version yet). Anyway, that char siew was full of rendered fats which will melt in your mouth, leaving you with no option but to grant that buttery meat permission to glide down your throat. I would even have another portion of it (add on 200Y). Slurps. I couldn't stop eating this really. The ramen was good, but this was better. It was so yums that I didn't even want to exchange my dish with S.
Another popular local snack is the one mouth gyoza (fried dumplings) and Ippudo does it very well (5 for 210Y). Loved the thin crispy pot-stickers with bursting juices from the minced pork. Now that i've introduced Ippudo, i certainly have to include Ichiran 一蘭, a well known and worthy competitor of Ippudo. 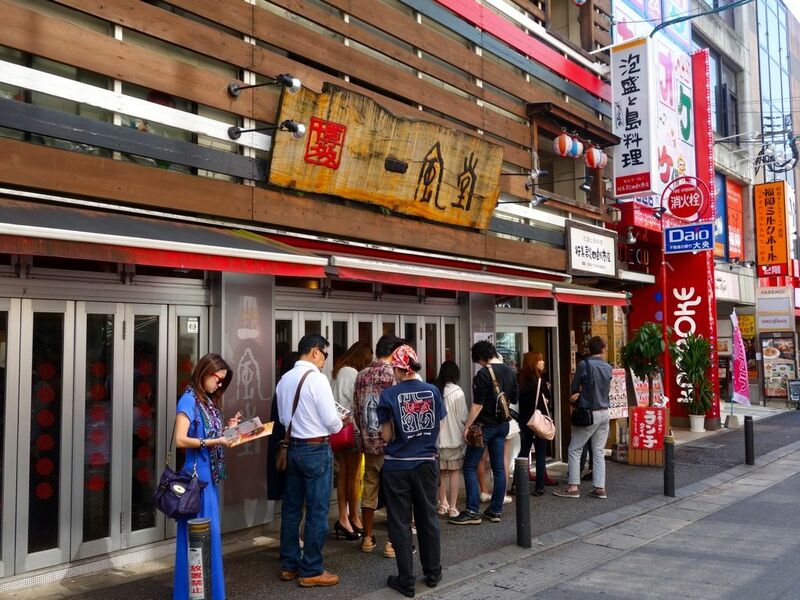 I've heard much about Ichiran but despite my numerous visits to Japan, i've not tried it. Guess it's a good thing that i've saved it for an experience at their founding outlet in Hakata. There's only 1 item at Ichiran and that's their standard ramen. The ordering process is automated and you can add on items e.g. additional char siew etc. So you queue to order, and then continue in the queue until you get a seat in one of their booths. 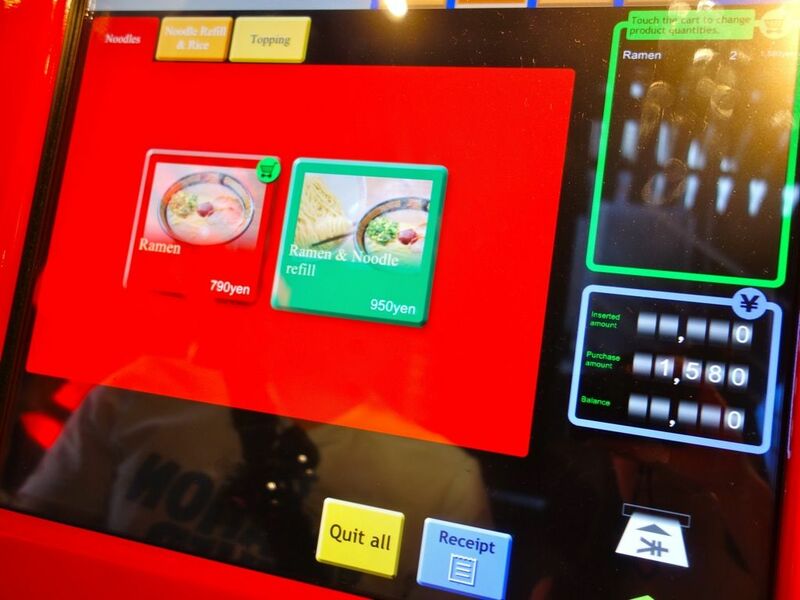 The system is very efficient and seats have sensors so that servers can quickly clear up before seating the next diner. 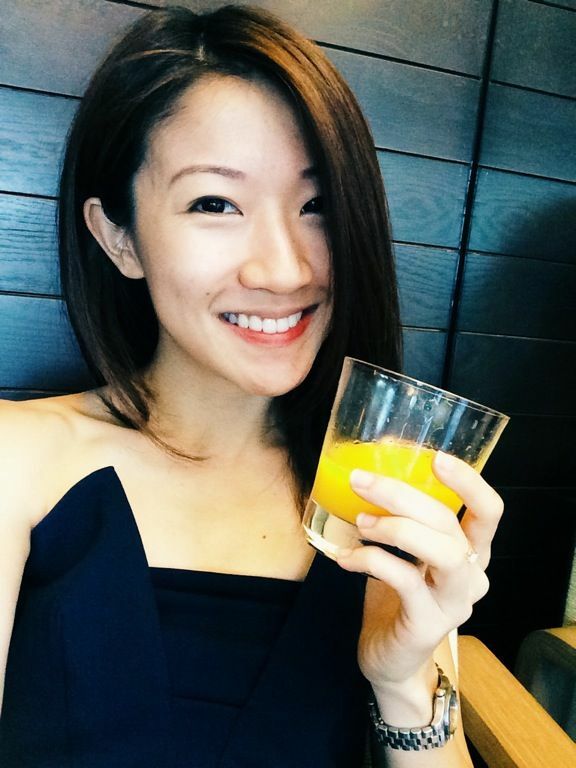 The efficiency is extended to the dining experience as well and in my opinion, it suits the Japanese Salarymen to a T. You order, you sit down, you eat, and you go back to work. 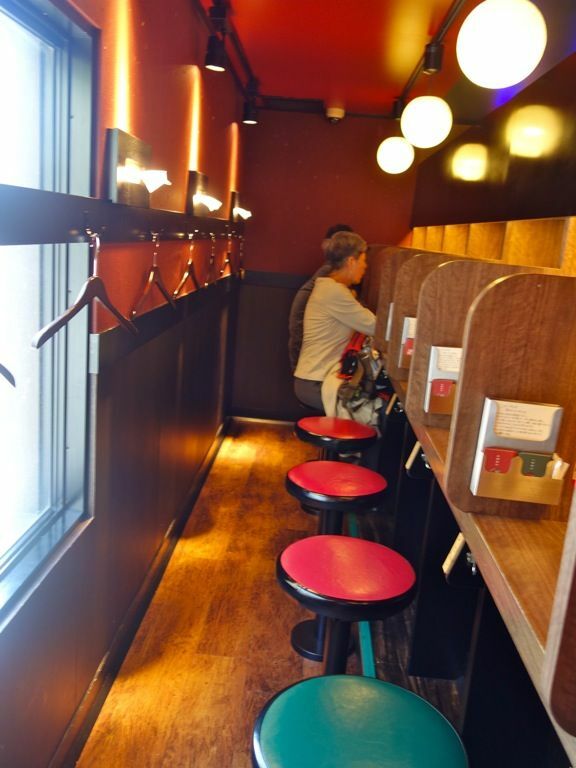 Each seat is partitioned and there's nothing to distract you from your ramen. First thing to do is to customize your noodles. Indicate your preferred flavor strength, richness of soup (how oily), choice of garlic, white or green onion, char siew, amount of secret red pepper sauce and the firmness of noodles. If it's the first time you're trying Ichiran, just go with medium for all categories. Firm(er) noodles is the way to go btw so go ahead and adjust that. The soup was the most amazing that i've had. It had that collagen-y gravy-like mouthfeel thanks to the hours of cooking of the pork and bones. The noodles were thin and crunchy and since they don't pick up much soup, each mouthful wasn't too overwhelming. I added on a side of char siew thinking that it wouldn't be enough (it really wasn't), but the meat wasn't worth the calories (too thin and dry). What you should add on to your bowl is the half boiled salted egg which is ZOMG awesome. It's better than onsen egg puhlease. You can always add on another portion of noodles (kaedama) after you finish the first one. I guess it's a natural comparison between Ichiran and Ippudo but i feel that there's no point to that as they serve different purpose and clients. 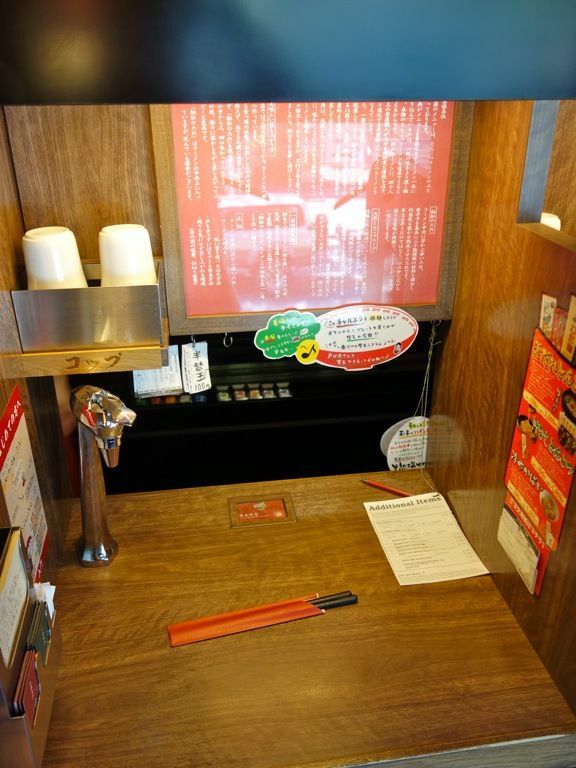 If you're dining alone and want a fuss free bowl of noodles without all the frills, Ichiran is the place to go. For group dining and those who love variety, then Ippudo it is. Now if only i can have Ichiran's noodles and broth, paired with Ippudo's char siew, side dishes and dining environment... That IMO is the winning combination. Chain stores aside, if you're looking for a local experience, then you ought to head to Nakasu Island (the southern end), Tenjin or Nagahama after nightfall when all the yatai 屋台 are set up for business. 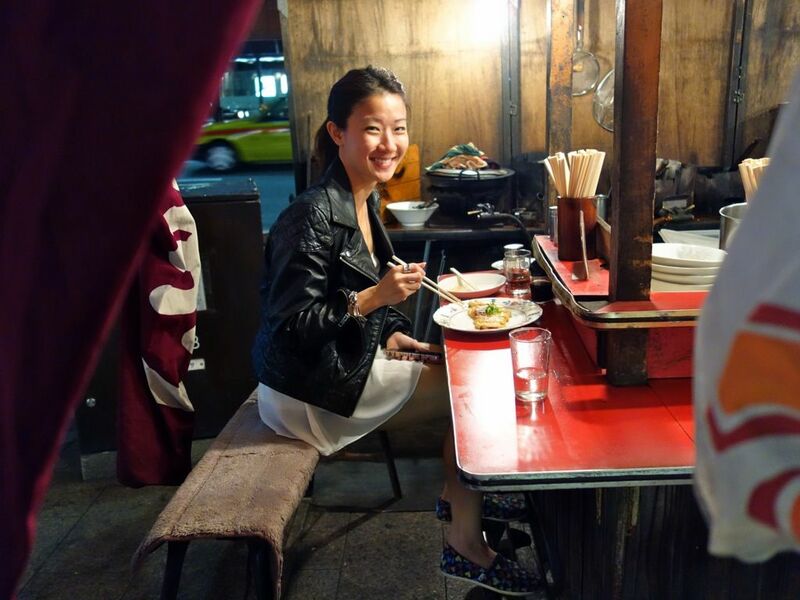 Yatai is probably the city's best known symbol and here is where you'd get an atmospheric outdoor environment, squeezing in front of a counter with 5-6 other diners as you munch on popular Japanese dishes such as oden, yakitori, tempura etc. 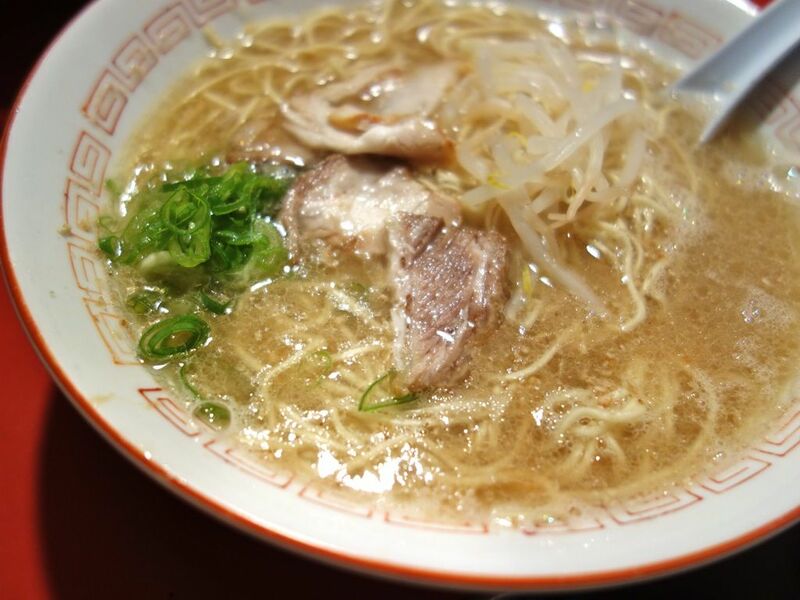 And of course, there's the traditional Hakata Ramen to be found there. 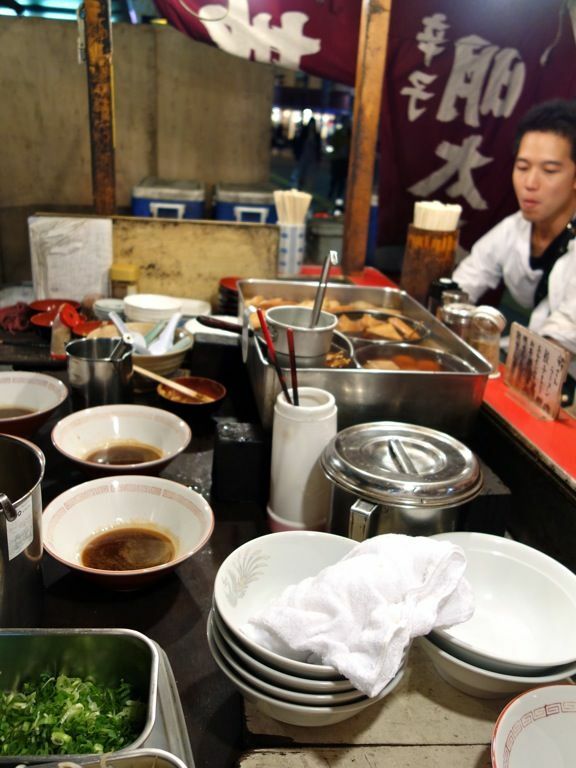 Each yatai has its own specialty so queue up for whichever that you fancy. Some queues are longer than the others obviously. The ones at Tenjin are especially crowded. Benching it on the streets is really an experience. We also had an amazing mentaiko omelette by the roadside! 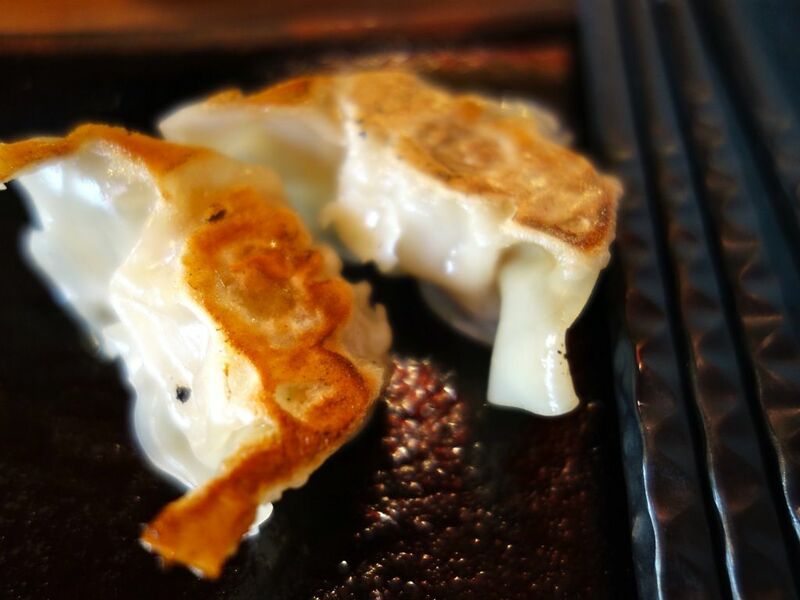 Anyhoo, some yatai recommendations for you. There's Ichiryu at 1 Nakasu Hakataku Fukuoka City (near by Haruyoshi bashi) if you want to enjoy a bowl of Hakata noodles by the river. 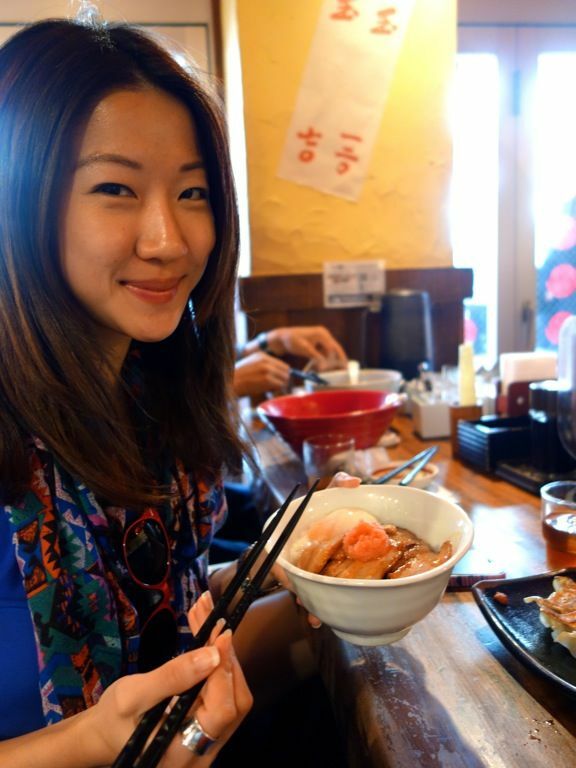 In Tenjin, head to Mami Chan, a tourist friendly yatai with an English menu. Have her Mabo Tofu and Roast Pork. 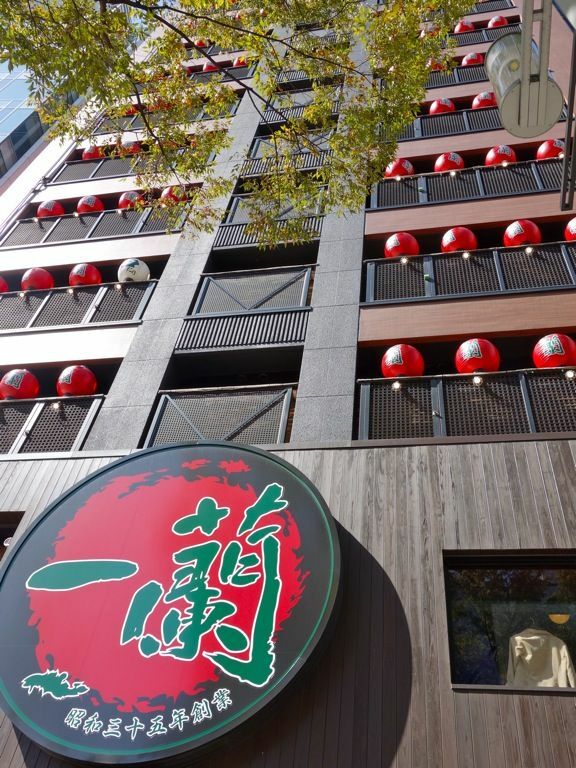 It's located on Showa Dori behind Fukuoka Honten Bank at 2-13-1 Tenjin, Chuo Ward, Fukuoka. Yatai usually close on Sundays but it really depends on the owner. They are open from 6.30pm till late (2-3am). 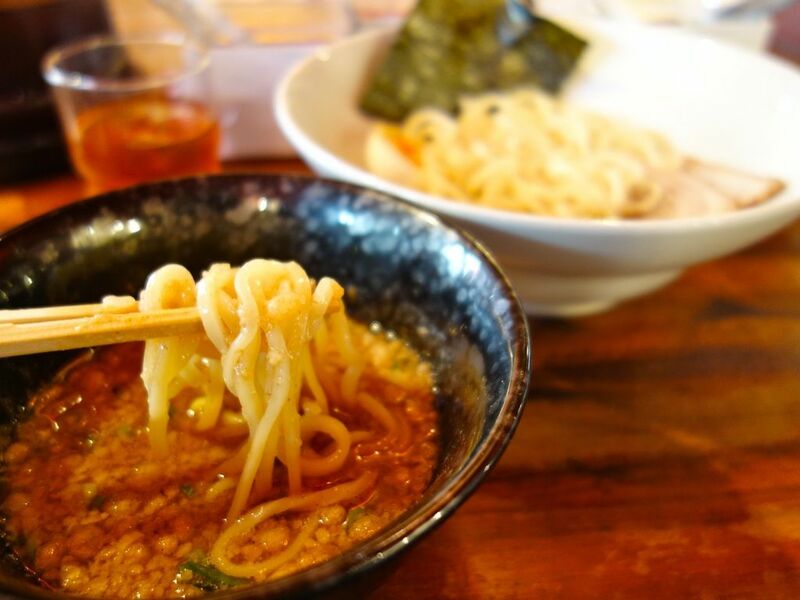 There's no wet weather plan for Yatai so if it happens to be rainy, a great option is to head over to Canal City Ramen Stadium for a hot bowl of noodles. 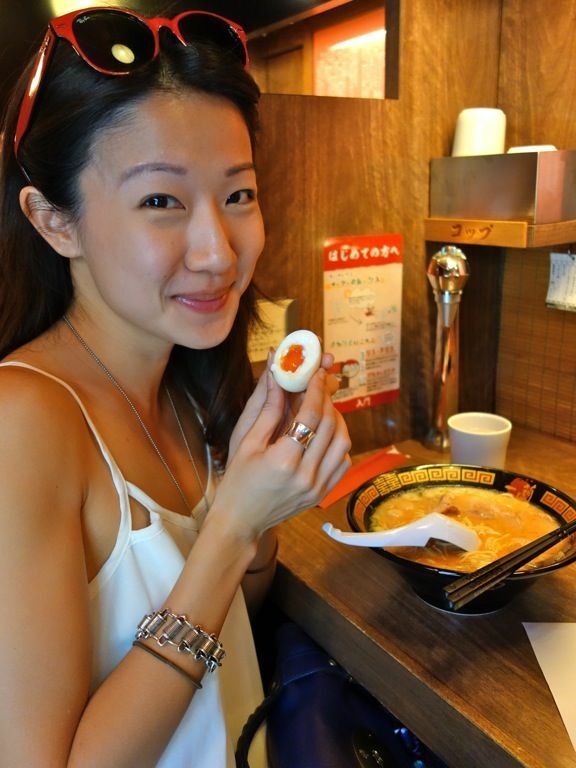 Singaporeans are no stranger to Ramen Stadium, which brings together popular ramen shops from all over Japan. 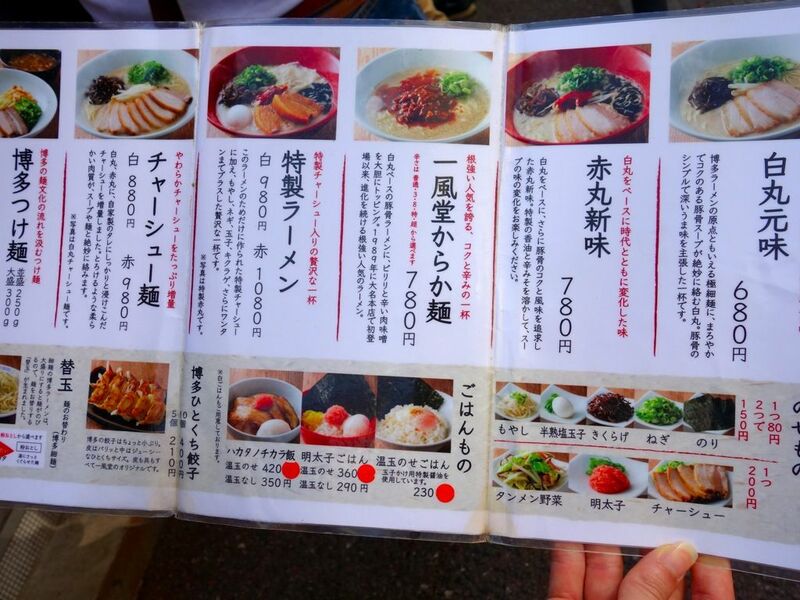 Here, you get ramen at any time of the day and you can try different styles at the same time. After 6pm on weekdays, the center of the hall is transformed a big Izakaya to resemble a yatai street. Not too bad for a shopping mall! 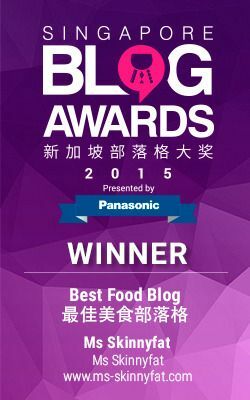 Hope you enjoyed the Best Hakata Ramen article! 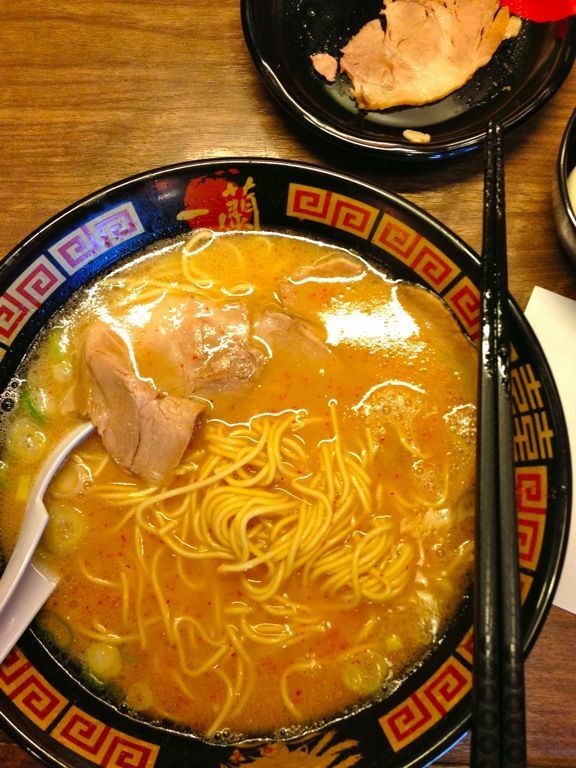 What's your favorite type of ramen and why? Do share with us yea?